I knew I would find soil fascinating, so I decided to take a night class titled “The Living Soil“. I was also interested in learning about soil so that when the inevitable zombie apocalypse strikes I may be able to plant some food for my dear family and the few remaining survivors. Currently I’m just a serial killer of plants and fail to keep the sturdiest of them alive. 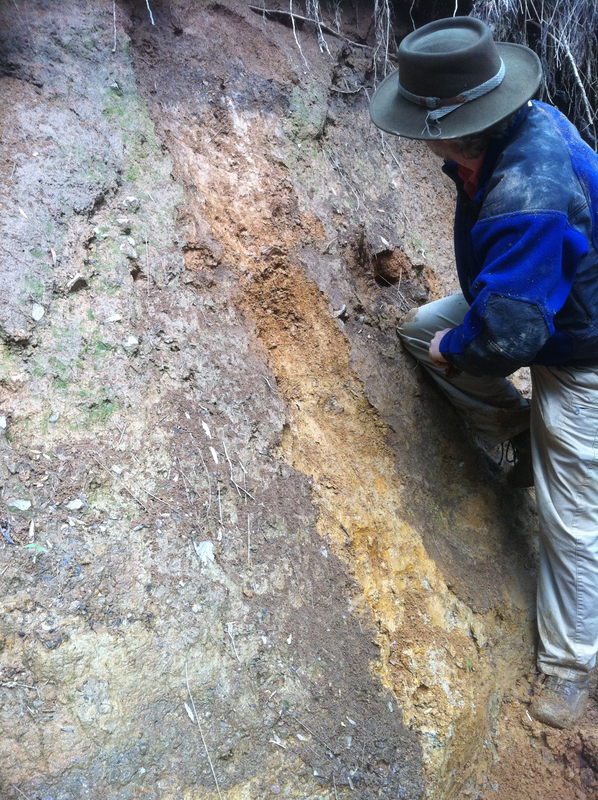 A few weeks ago we had our first soil field trip and I was able to get more hands-on with a stream bed and some soil-y colleagues. 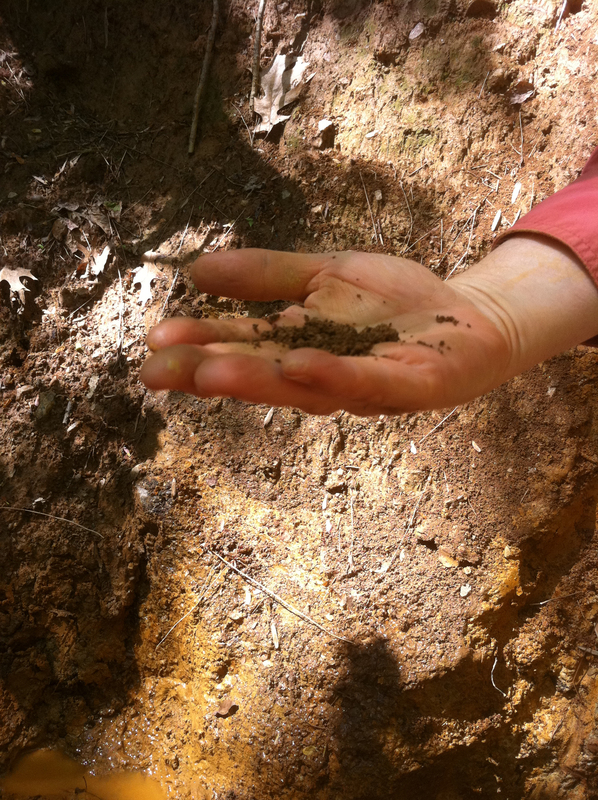 We were each instructed to attempt to identify different horizons as well as the texture, color and structure of a small area of soil in Maryland. It was mucky, interesting, and I felt like I was guessing a lot of the time. But in learning how to survey soil, I was reminded how similar it is to surveying social media and how each site offers different aspects with a unique function. It’s very easy, because soil scientists and people surveying soil can reference any number of information sites and decide how to address the next step. But what if someone is curious about using social media? There’s no obvious key. People have to swim around in the social space and copy their competitors. Intensity: How often must you check it? How much does it take to update it? Design: How user friendly is it?